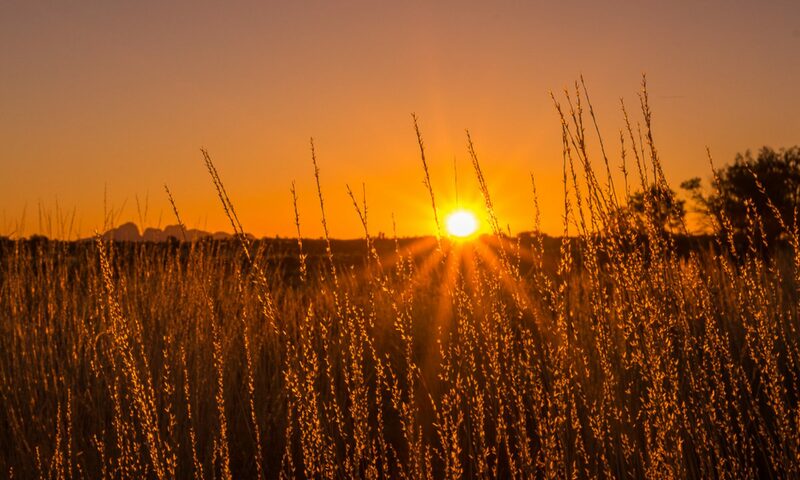 On home ground! A walk with bits and pieces I knew well, linked by bits I’d always wanted to visit (and some I could have done without!). Alec and I met up at the Pierhead Building and set off past the Norwegian Church and the Dr Who Experience to cross the Cardiff Bay Barrage and climb Penarth Headlands. From the top you have this great view across St George’s Channel (aka Severn Estuary). 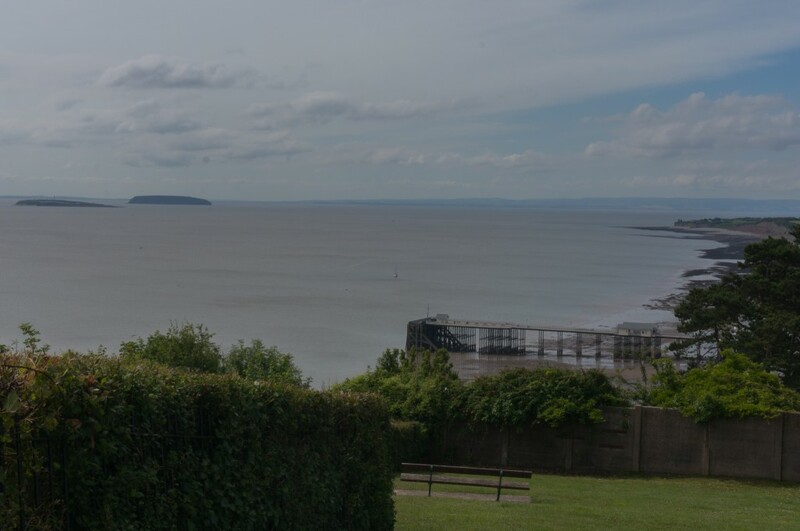 The 10.6 mile walk (shown on a Google Map here) continued along the promenade, briefly taking in the refurbished and revitalised Pier Pavilion, stopping for an ice cream at Cioni Bistro before heading off along the cliff top towards Lavernock. 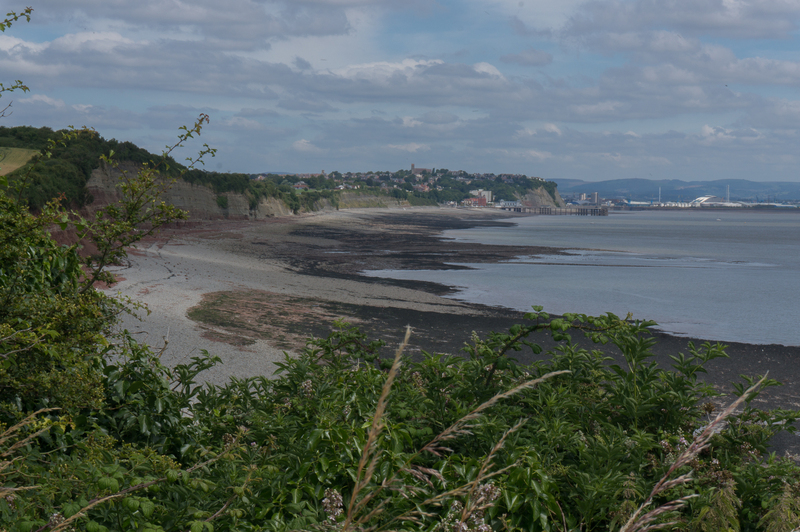 This bit of the walk, through scrubby land with the cliff edge hidden from us, and no sight of the fields inland, was a bit boring to be honest, but occasionally a view opened up, like this one which allowed a view of the Liassic cliffs, and Cardiff. 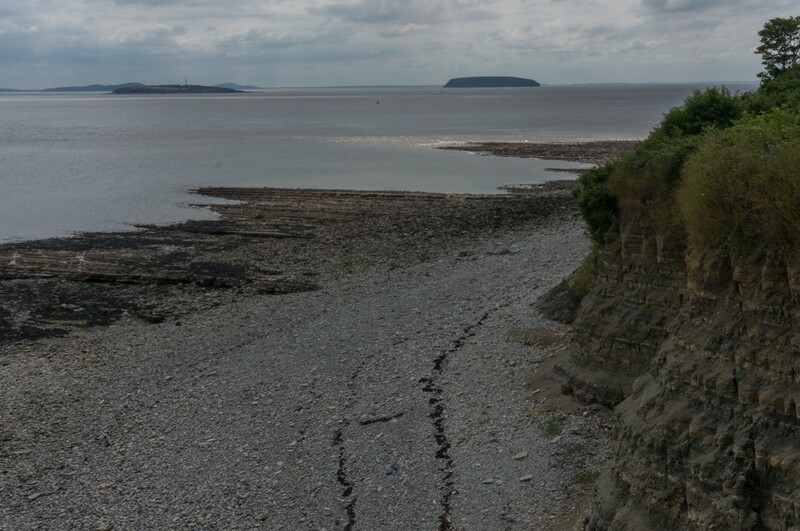 Near Lavernock Point we were able to look across the channel to Flat Holm and Steep Holm and I was able to tell Alec about Marconi and the first over the water telegraph, and he was able to tell me about his adventures – bird ringing on Flat Holm. We passed the gun emplacements at the Point and walked on then towards St Marys Well Bay and Sully Island where we stopped for a while at The Captain’s Wife for lunch and a drink. We have to report that the service was appalling with only one member of staff on the bar and also taking food orders. This led to my meal being nearly cold when I returned after “popping off to the bar” to get a refill of our pints and returning 20mins later!! Not good. On from Swanbridge, we followed the path along the cliff until it headed inland. The rest of the walk can be briefly described as a drudge. Walking along roads and past industrial complexes and outlets until we reached Barry Docks Railway Station and our train home.